Like PUBG, Fortnite has proved to be a phenomenally successful game, attracting millions of players around the world. With battle royale games faring so well, EA decided to take a slice of the pie, and released Apex Legends, its own free-to-play take on the genre. In the space of just 72 hours, the game reached a major milestone -- 10 million players. It took Fortnite two weeks to pull in the same number of players. Available for PC, Xbox One and PlayStation 4, Apex Legends has yet to trying tapping the mobile market, but this has not stopped it from enjoying massive growth. 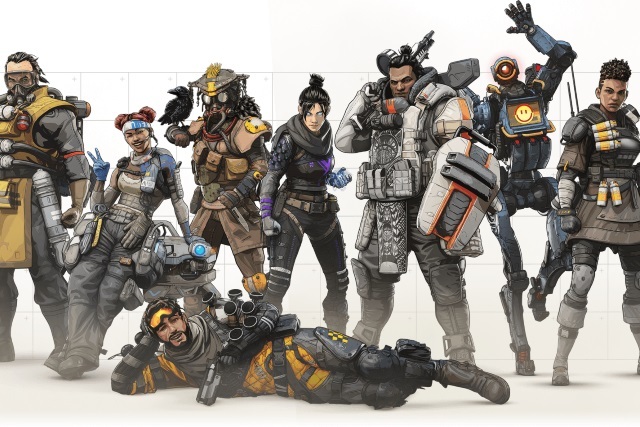 Announcing the astonishing achievement, Vince Zampella from Respawn Entertainment said: "In 72 hours, over 10 million players have jumped into Apex Legends and we've breached 1 million concurrent players! This has been a truly incredible journey. We tested and tweaked. We argued and agreed. We got to a point where we felt some magic. We knew it would be risky to take the franchise in this direction, to go free to play, and do a surprise launch. But we fell in love with Apex Legends and wanted, needed, other people to play it too". We hoped you'd love it as much as us, but never in our wildest dreams could we have expected the outpouring of support and positivity we've seen. From all of us at Respawn, thank you for giving us and Apex Legends a chance. Thank you for joining us on this journey. This is just the beginning! We have so much more in store for you this year.